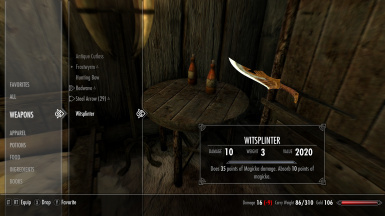 This mod brings back many of the classic unique weapons, armor and clothing from The Elder Scrolls IV: Oblivion. 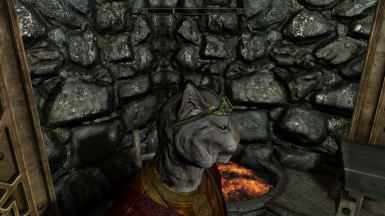 Rewrote Dar'zharim's journal to read more like it was written by a Khajiit. 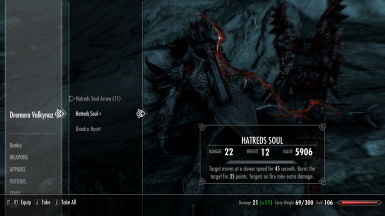 Fixed vanishing Shadowhunt and Hatred's Soul after being dropped. 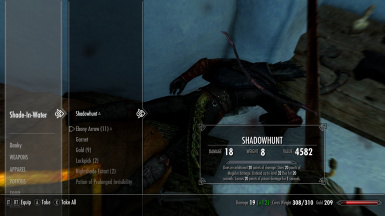 Nerfed Shadowhunt now only has 12 uses at full charge. Lowered the weight on Hatred's Heart from 48 to 20. 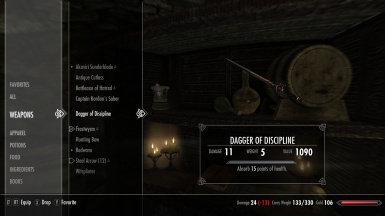 Added Disallow Enchanting keywords to all items that have unique enchantments. 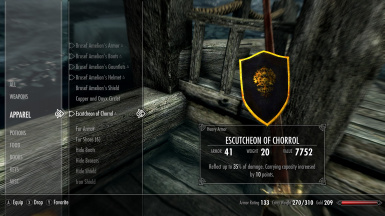 Fixes bug with Escutcheon of Chorrol being invisible for vampires. 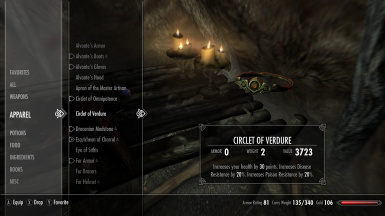 Fixes NPC Vanishing caused by having the "unique" box checked in the ck. Added support for beast races. 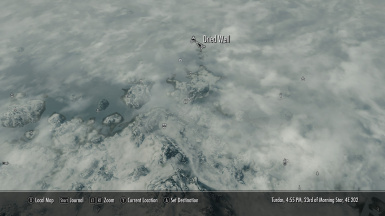 Small Purses are no longer under flora so no more TES5Edit conflict on that part. Moved Amelion Set to be easier to locate. 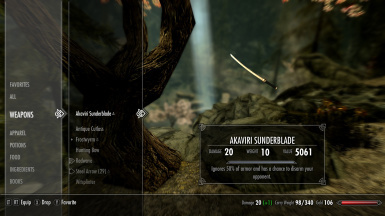 Adjusted Honorblade's weight to match the Vanilla Ebony Sword. 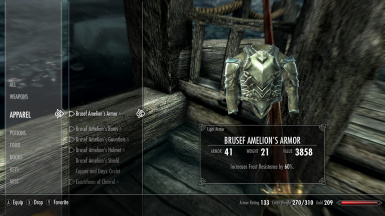 This mod brings back many of the classic unique weapons, armor and clothing from The Elder Scrolls IV: Oblivion. 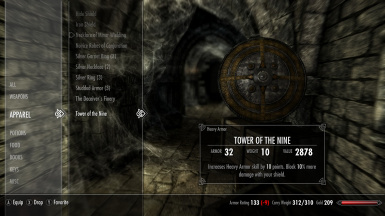 This is a ported version of my original Skyrim mod, now it can be enjoyed in the Special Edition. Changes from the original: Hatred's Heart and Hatred's Soul have been moved so that they're no longer outside of the borders. 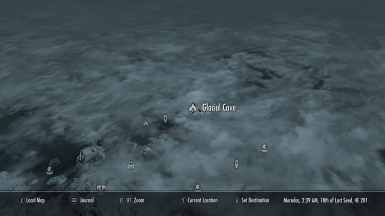 The Glacial Cave containing Shadowhunt has been significantly altered to not be such a boring location, also it's been moved to within the borders. 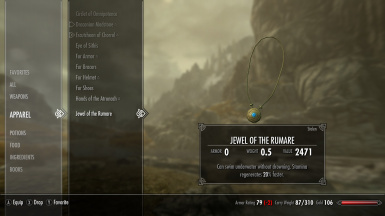 New unique purse textures for each of the rings that are found in small purses to make them stand out as something special and not just another coin purse. And a few other minor changes. See Change Log for updates. WARNING: The Blackwood Ring of Silence does 150 damage per second you have it on. It can kill you. 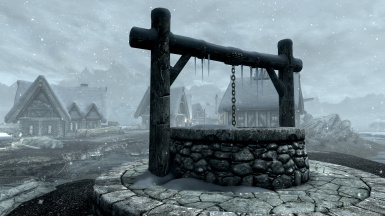 Escutcheon of Chorrol: Peak's Shade Tower, Southeast Falkreath. Redwave - Redwave Ship, Solitude Port. 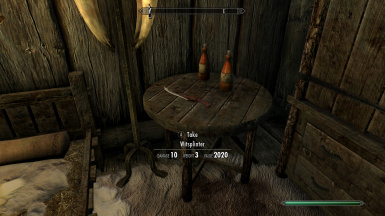 Witsplinter - Alva's House, Morthal. 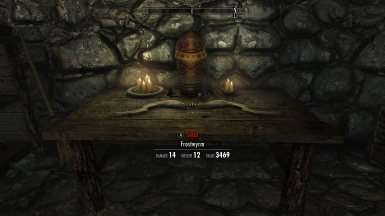 Frostwyrm - Ivarstead Mill, Added a small new Storage cell owned by Temba Wide-Arm. Amelion Set - Lost Echo Cave. 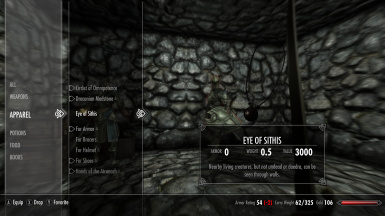 Eye of Sithis - Dawnstar Sanctuary, before torture room.. or before finding Cicero. 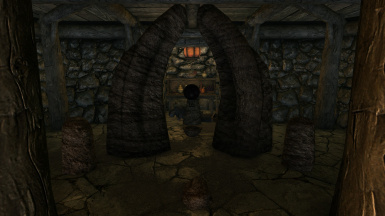 Ring of the Gray - Riften Jail Sewers, Its a 'coin purse' on the ground. 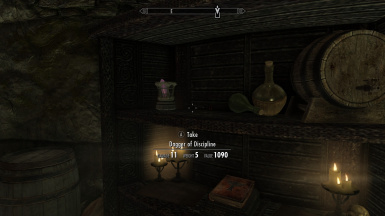 Blackwood Ring of Silence - Argonian Assemblage, a 'coin purse' on a shelf. 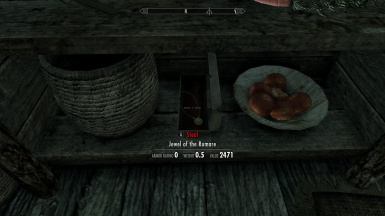 Jewel of Rumare - Crabber's Shanty on a shelf. Circlet of Omnipotence - Mara's Eye Pond on a barrel. Helm of Ferocity - Dushnik Yal Longhouse on a shelf. 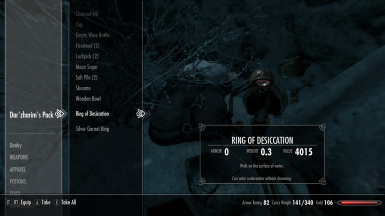 Ring of Transmutation - Silent Moons Camp its a 'coin purse' on a chest next to the ladder at the end. 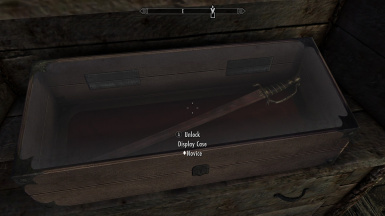 Antique Cutlass - Helgen Keep on a shelf. Draconian Madstone - Riverwood Sleeping Giant Inn in the hidden room on a shelf. 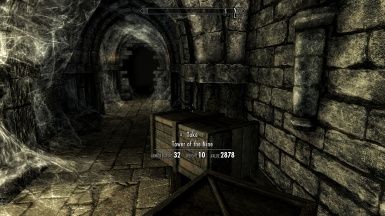 Tower of The Nine - Solitude Temple basement area before Potema's Catacombs. 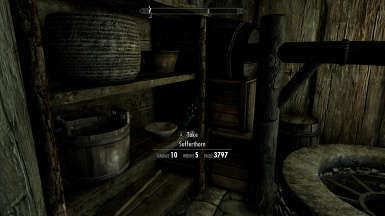 Ring of Wortcraft - Whiterun Arcadia's Cauldron a 'coin purse' on a shelf. Hands of the Atronach - Winterhold College Midden on the Atronach Forge. 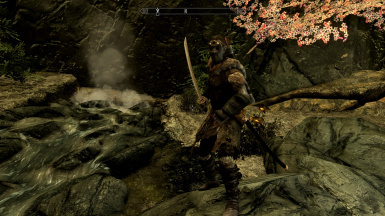 Akaviri Sunderblade - Ancestor Glade Next to a rock near one of the higher up trees. Aegis of the Apocalypse - Bloated Man's Grotto next to the Oathblade. Hands of Midnight - Hag's End next to the Assassin of old. 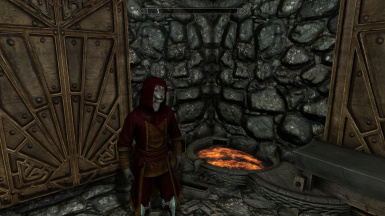 Birthright of Astalon - Northwatch Keep on a shelf. 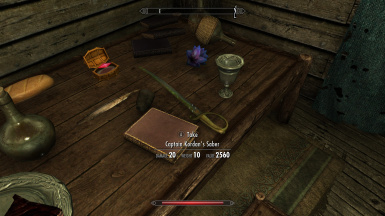 Calliben's Grim Retort - Thalmor Embassy on a bookshelf in a bedroom. Sinweaver - Thalmor Headquarters upstairs on a wall. 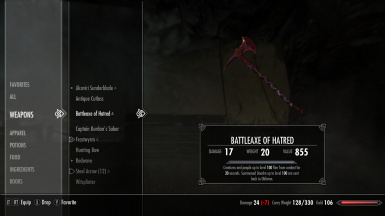 Battleaxe of Hatred - Embershard Mine on a table. 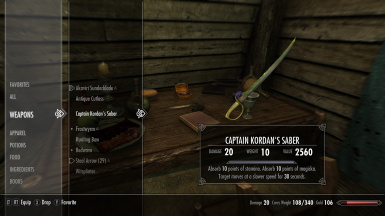 Captain Kordan's Saber - Dainty Sload at the end on a table. 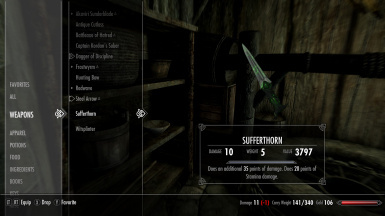 Dagger of Discipline - Falkreath Sanctuary on a shelf. 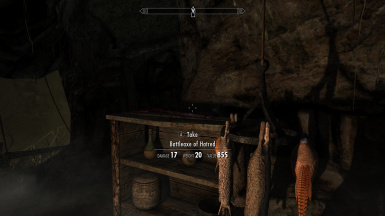 Rasheda's Special - Riften Blacksmith's House over the fireplace. Ring of Eidolon's Edge - Mehrunes Dagon's Shrine on a plate with some salts. Cowl of the Druid - Boulderfall Cave on a shelf. Veil of the Seer - Cragwallow Slope on an end table. Robe of Creativity - Darklight Tower at the end on a table with a troll skull. Dondoran's Juggernaut - Raldbthar in the main room where the bandit boss is. 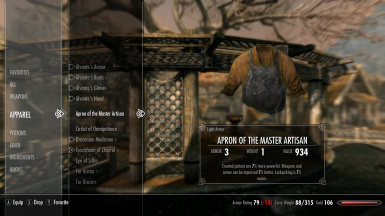 Apron of the Master Artisan - Whiterun House Gray-Mane main bedroom. 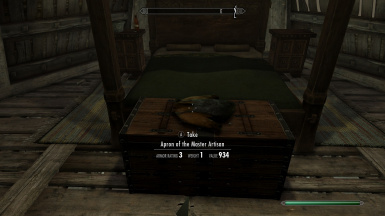 Boots of the Swift Merchant - Bard College main bedroom. 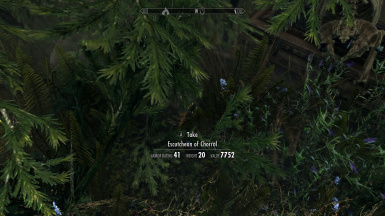 Quicksilver Boots - Thieves Guild Headquarters in Riften. 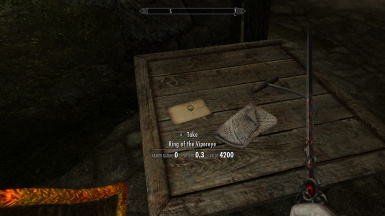 Black Band - Dawnstar Sanctuary on the table when you first enter it is a 'coin purse'. 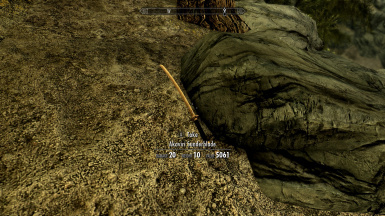 Honorblade of Chorrol - A small cave near Falkreath and Peak's Shade Tower, Be ready for a fight, and a good rock climb. 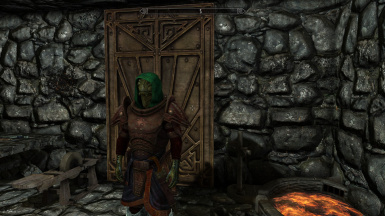 The Deciever's Finery - Solitude's Raidiant Raiment. 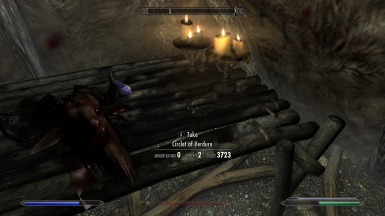 Rockshatter - Orotheim on a chest. Sufferthorn - Redwater Den near the well. 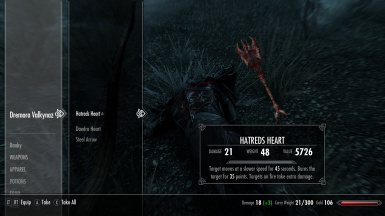 Hatreds Heart - Near The Chill in Winterhold in the Dried Well. Be ready for a fight. 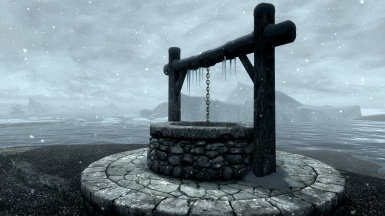 Hatreds Soul and Soul arrows - Near The Chill in Winterhold in the Dried Well. Be ready for a fight. 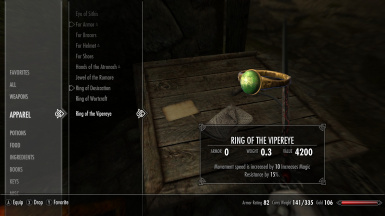 Ring of the Vipereye - Harmugstahl on a table next to the Alchemy lab. 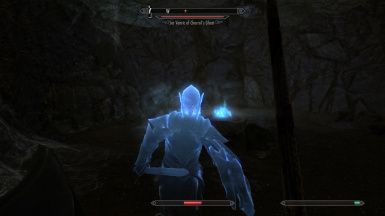 Shadowhunt - In a small glacial cave near The Chill in Winterhold. Be ready for a fight. Sorcerer's Ring - Hob's Fall Cave on the enchantment station. Circlet of Verdure - Snapleg Cave. 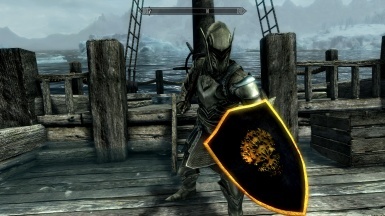 Ring of the Oceanborn - Northshore Landing In Solstheim. Ring of Desiccation - Bleakcoast Cave. 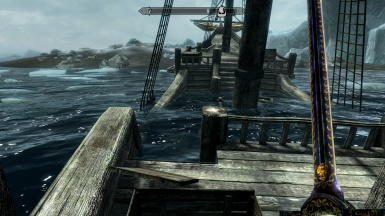 Two Headed Septim - Wreck of the Southern Squall. 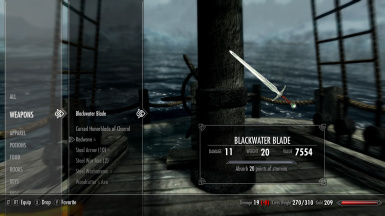 Blackwater Blade - Wreck of the Southern Squall. 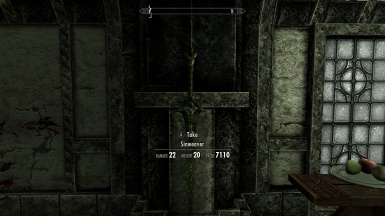 How to uncurse the Honorblade of Chorrol - You need Holy water along with an amulet of Kynareth, 10 Salt pile, and a Potion of Ultimate Magicka. 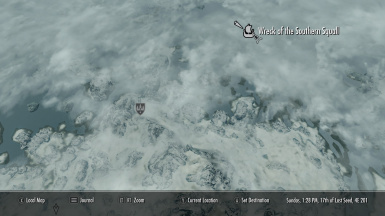 It's done at the Skyforge, holy water can be found in temples, try Whiterun. The Blackwood Ring of Silence does 150 damage per second you have it equipped and may kill you. 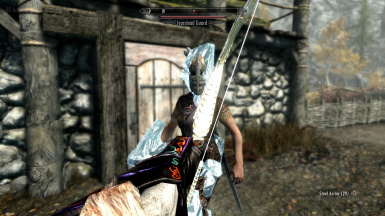 noraimironhand for allowing me to use the sword mesh from - http://www.nexusmods.com/skyrim/mods/60252/? 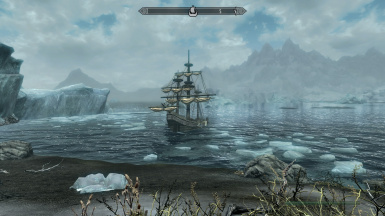 markusliberty for his Cyrodiil Ship and Boat Resource - http://www.nexusmods.com/skyrim/mods/59426/? 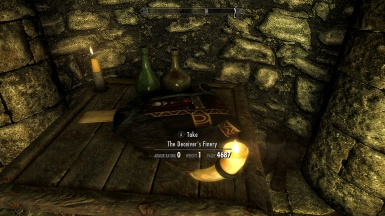 The_Funktasm for the Morrowind Style Clutter (The potions in the Southern Squall) - http://www.nexusmods.com/skyrim/mods/24883/?